The South Adelaide Football Club has one of the richest histories in Australian football, dating its origins back to the year 1876. Throughout the years the South Adelaide Football Club has welcomed, entertained, appreciated and celebrated with generations of supporters. From the Panthers first Magarey Medallist, Frank "Dinky" Barry (1915) and the inaugural Knuckey Cup victor, Dan Moriarty (1923) to Club legends Jimmy Deane, Peter Darley and Mark Naley and modern-day stars like three-time Knuckey Cup winner Nick Liddle and Dual Magarey Medallist Joel Cross, each generation has enjoyed the chance to see and support some of the countries most talented footballers. Bequests provide a simple yet incredibly powerful way for all past, present and future supporters of the South Adelaide Football Club to make a vital contribution to the future of the Club and ensure future generations also have the privilege to enjoy a lifetime of supporting this great Club and the opportunity to develop idols of their own. A bequest is a gift of money or assets that you leave through your will. Making a bequest is an uncomplicated and inexpensive process. You can change your will, in consolidation with your family and lawyer, or simply add a Codicil to an existing will at no cost. The following is an example of a bequest wording. Please note the South Adelaide Football Club is not qualified or authorised to provide legal advice, so to ensure your wishes are clearly and legally stated, we highly urge you to seek expert independent advice from a qualified solicitor to ensure that the correct clause is entered into your will. "I.......................give and bequeath unto the South Adelaide Football Club Incorporated ABN 25487940282 of 1 Lovelock Drive, Noarlunga Downs, South Australia 5168, the sum of $......................., AND/OR.......................% of my total estate, AND/OR the residue of my estate AND/OR my treasured artifact described as......................., and I direct that the receipt of an authorised officer of the South Adelaide Football Club will be sufficient discharge to my Executor or Trustees for this bequest." 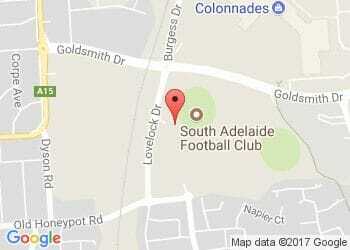 If you would like to make a bequest to the South Adelaide Football Club, or if you require further information, please contact the Club on 8186 8200 or reception@safc.com.au. Your generosity would greatly benefit the future of our great Club.